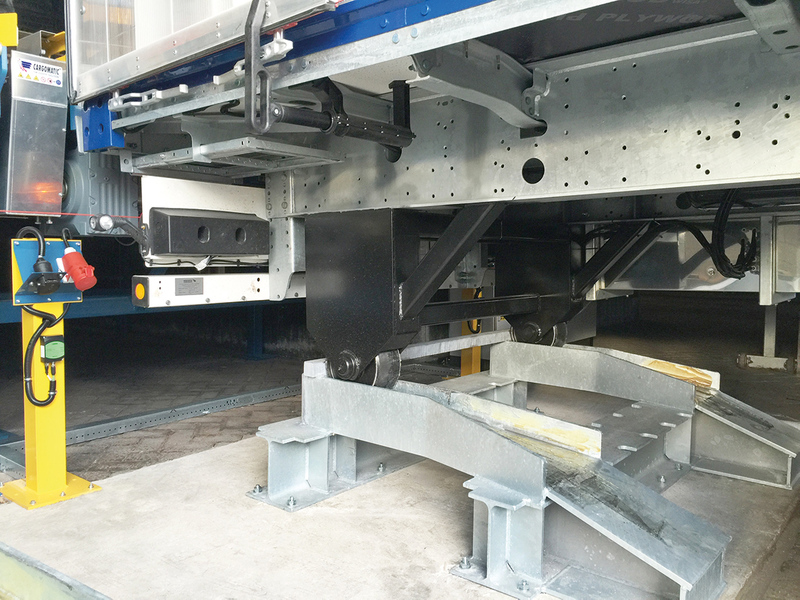 The positioning wheels (at the rear side of the trailer) ensure together with the positioning frame (fastened to the floor) that the trailer can easily be positioned in front of the stationary loading/unloading system. The trailer is also lifted from the pneumatic suspension so that the load can no longer influence the height of the trailer with the CargoMatic transport system. A proximity switch is installed on the positioning frame based on safety considerations that will check whether a semitrailer is indeed present before the stationary system starts to move.